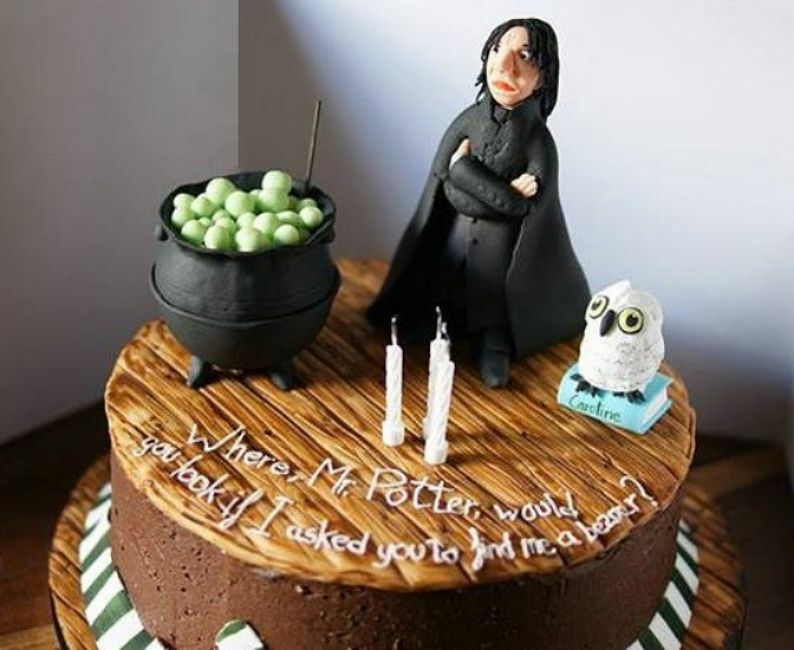 Happiest of Birthdays to TheRealSnape!!! Cauldron Cake, my Dear TRS? Miss M and I wish you a lovely day - and maybe you can get a detention if you have been very good! Oh, my goodness, this is delightful. The nose, and the hair, and all the little details. Personally, I'd look for a bezoar right in the middle of that cake. Systematically and neatly eating my way through it, of course, for one wouldn't want to leave a mess. Give my love to Miss M and tell her I've had a detention in a rather lovely restaurant yesterday.